Yes! 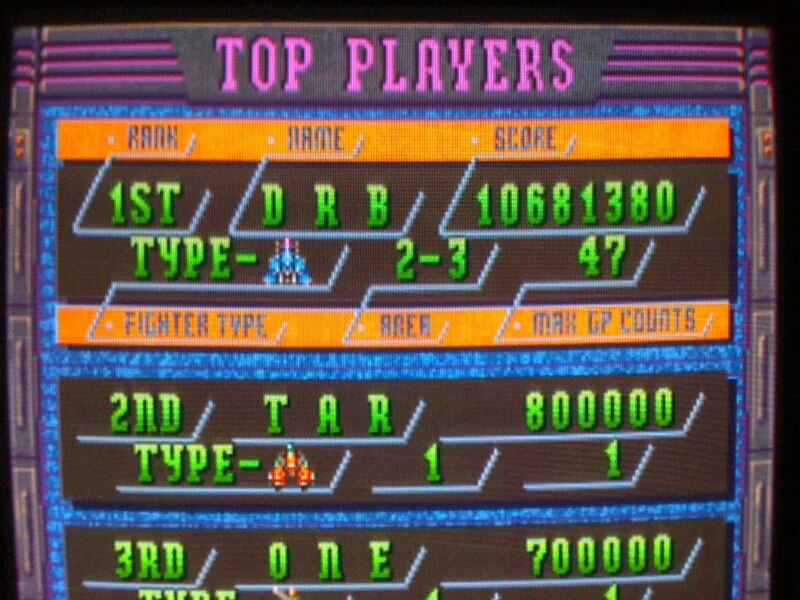 Got home tonight and did three runs of Donpachi and finally cleared the loop, setting a new high score at 10,681,380 and reaching stage 2-3, finally dying at the last blast of enemies before the end boss. 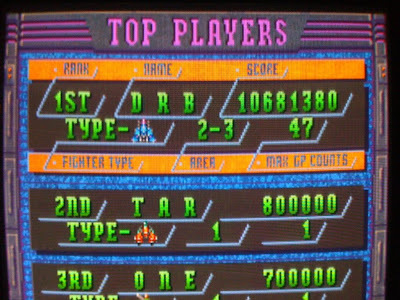 In two days, I added almost 5 mil to my score and moved myself from 69th on the Shmups scoreboard (one position away from the bottom) to 21st. Awesome. I have to say, I am really enjoying this game recently and the second loop is a good deal of fun. I hope that I can push this score up, get some good chains together (I already know a few places I think have 100+ chains hiding in them) and get into the top ten. I would have to beat stanski's score of 15,262,990 at 2-4 with a 103 chain. It would be quite an accomplishment and one that I think is within my grasp. I get bonus like crazy! Really, this is one of the more suprising accomplishments I have had - didn't take long, made it three stages into the second loop on the first try and just used basic rank management. Ha! Yeah, that may take some time. It would be cool to beat a 2-loop DP game though. Shmups, Japanese RPG's and DS diversions - on many shmup forums under this name, I host the Chicagoland Carnival series. I am also a superplay collector and I'm always looking for old VHS copies!